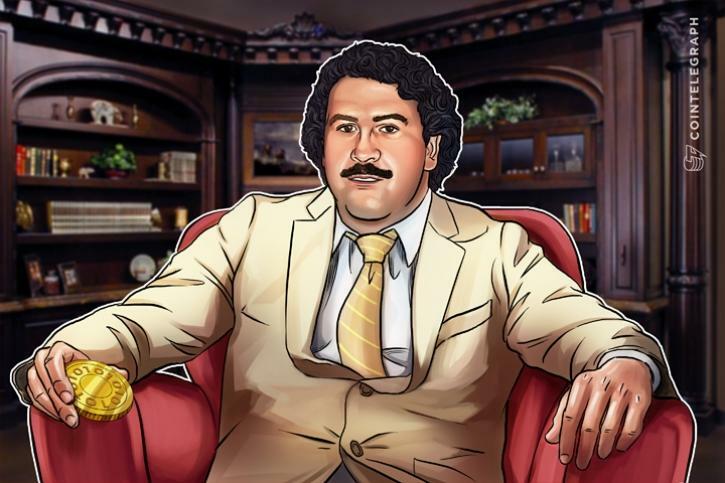 The brother of late Columbian drug lord Pablo Escobar, Roberto Escobar, has released his own alternative to Bitcoin (BTC), a BTC hard fork called dietbitcoin (DDX). Roberto Escobar’s connection to dietbitcoin has been independently confirmed by a spokesperson for Escobar Inc., Roberto Escobar’s investment company, to TheNextWeb today, March 22. Dietbitcoin is currently running an Initial Coin Offering (ICO) that consists of three rounds with 1 mln DDX coins as the cap for the crowdsale. The pre-ICO round 1 offers a total of 300,000 coins for $2 a coin, a sale price from the $50 originally listed, pre-ICO round 2 offers 300,000 coins for $100 each, and the ICO will have 400,000 tokens for $1000 each. However, the total number of coins is written as 1.8 mln, with a supply cap of 21 mln. 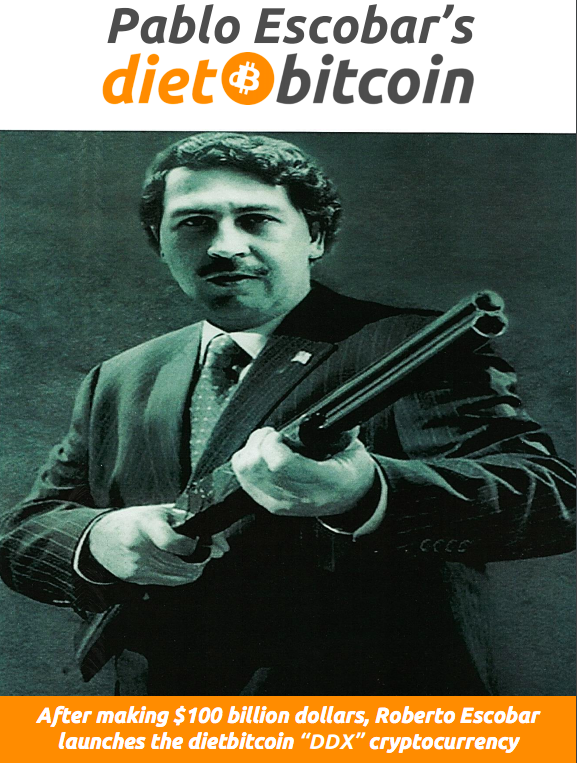 However, Roberto Escobar then explains that Nakamoto approaching him was actually “a setup by the American Government to infiltrate Escobar Incorporated,” and thus his dietbitcoin is the superior coin as it will not allow the “Americanos” to track users’ purchases. “I didn’t like the guy; small guy. I never heard of him before. Nobody in Colombia knows his name. I do not know if the world knows about him or not, but I do not know about him. Earlier this year, another big name, actor and “zen master” Steven Seagal, attached his name to the new cryptocurrency “Bitcoiin2gen,” which also posits itself as a “superior or more advanced version of [Satoshi Nakamoto’s] Original Bitcoin.” However, New Jersey has since sent a cease and desist letter concerning Bitcoiin2gen’s ICO, alleging that “unregistered securities” were offered in violation of securities laws.